“We are so grateful for all of the hair donations that we receive. However, with the Duchess being in the public eye, we hope that it means the message will be carried everywhere and we can help even more children with their hair loss." Little Princess Trust (LPT) stepped into the international limelight in recent weeks following one of its most high-profile donations: hair from Kate Middleton. 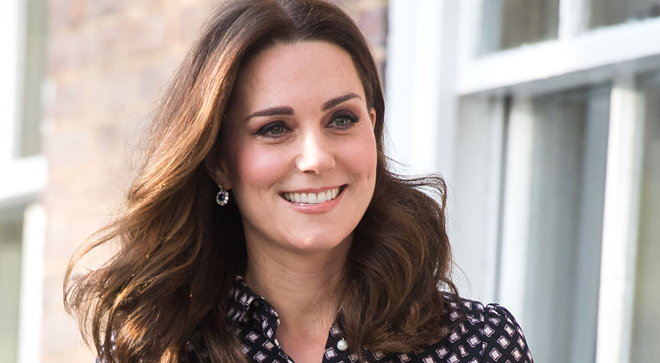 The Duchess of Cambridge cut her iconic locks last summer and donated seven inches of it anonymously to the United Kingdom-based nonprofit organization that provides free wigs to children fighting cancer and other illnesses, such as alopecia. The 11-employee charity learned of the news just two days before it made headlines across the globe at the end of January. “We are so grateful for all of the hair donations that we receive. However, with the Duchess being in the public eye, we hope that it means the message will be carried everywhere and we can help even more children with their hair loss,” said Monica Glass, charity manager, in an interview with CURE. Founded in 2006, the parents of Hannah Tarplee wanted to honor their daughter who battled Wilms tumor — a cancer that starts in the kidneys. Because of treatment, she lost her hair. Tarplee and her parents experienced firsthand the challenges associated with this side effect, as well as the financial burden that comes with purchasing a wig. During that same time, her school community was raising money to send the Tarplee family on vacation, but before that could happen Tarplee lost her life at the age of 5. The money was then used to start LPT. More than 10 years later, LPT has given away more than 5,500 free wigs to young children — Hero by LPT, its sister organization for young men and boys launched in 2017. The wigs are made with real hair donated from people all over the world. The minimum length of hair accepted is seven inches, however, since 90 to 95 percent of the children who request wigs are girls, longer hair is appreciated, noted Glass. Wigs are provided to children as young as 2 years old going up to 24 years old. For now, LPT only distributes free wigs in the U.K. and Ireland, but hopes that one day it can provide this service for children who live in the U.S. and beyond. LPT also works to further research for pediatric cancers, awarding more than $2 million. “We want to find less toxic treatments and even a cure, so that ultimately there won’t be a need for a charity like this,” said Glass. Celebrity figures, like Middleton and the others who have previously donated their hair — Harry Styles, who rose to stardom during his career as a member of One Direction, and Jessie J, whose hits like “Price Tag” appeared in the “Pitch Perfect” film series — help LPT in reaching its goal of making children look and feel more like themselves. To donate hair or money, visit LPT’s FAQs page.